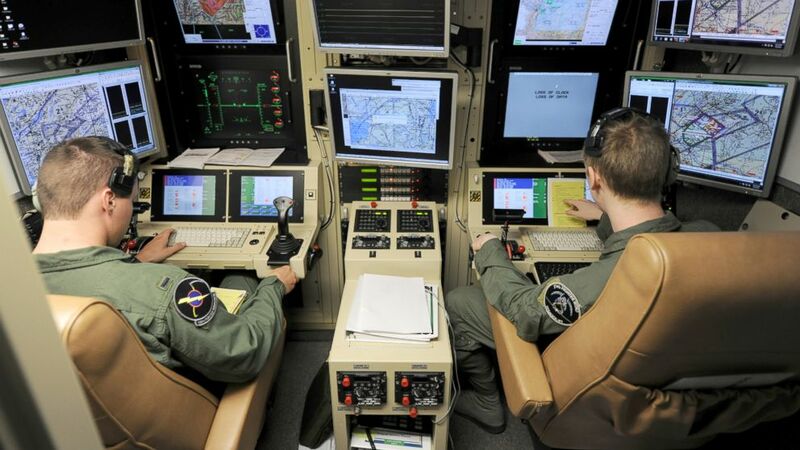 Two Armed Forces Drone Pilots. Outside of the habitual drudgery of political discourse on social media where angers flare and die many times over—a typical example of a reversible process—it seems quite clear that the concept of the “keyboard warrior” equally, if not more appropriately, describes the programmer who drops ten tons of TNT on Afghan children (heads, limbs and intestines split and flying) through a single drone strike. Now, that’s a man without balls but with a keyboard. That is a keyboard warrior. There’s more to the concept however. Oblige yourself to the concept of Wall Street and one is met with the fuzzy idea that men angrily and aggressively pushing at keys on a board that is connected to a wide screen can change people’s lives, often for the worst, and in an instant. Real wages and family wealth can be wiped off the screen in a single stroke. Still yet consider the hacker. Consider the one who built the bank vault with digits and who now works for the Central Intelligence Agency. Everywhere you now look, keyboard warriors abound. And their denominator remains the same: they do no actual work, which would require hardship and bravery. Keyboard warriors skip the first, the second and the third steps and jump to the fourth. They are cozy warriors and they remain a danger to the planet. Let’s attempt a neoclassical definition of the keyboard warrior. What this person actually is, and does, is not very clear except he sits—preferably in his mother’s basement, which was built with actual skill and actual labor—and he fights with his keyboard to make sure that the next house that gets built in his own neighborhood is not built by the skillful man next-door, but by a robot. The keyboard warrior is a dangerous animal because of his thinking. He is a danger to himself and to his next-door neighbor, including his own mother, whose left over meals and basement by the way has provided the sanctuary for the keyboard warrior’s insanity. The problem with the keyboard warrior is two-fold. First, he is a warrior, which means he wields a weapon and he has a target. The next implication of this is that he also belongs to an army of keyboard warriors, all of whom by default wield weapons and have targets. By simple calculation it seems that armies that spend too much time honing their skills do not only have to look for newer and bigger targets, but they need also to sharpen their weapons: make them bigger and more devastating. Second, the keyboard warrior also believes he is actually contributing to life, when in fact what he does is write the code necessary for robots to destroy the world. Keyboard warriors are resigned to seeing the world as a universe of codecs to be mined and to be rebooted when it fails. They are oblivious to irreversible real world reactions and that chemicals, or that all matter in general (including they), are not a bunch of digits that can be written, wiped, bleached and re-written again, and again and again. The world is not a game. It is real. But it is by the insane belief in reversibility that keyboard warriors adhere and bloom. So they operate effectively in unity and in the twenty-first century with one target and one goal. The target is humanity and the goal is to destroy it. And, they are probably not even aware of this reality in much the same way that foot soldiers—in a real clandestine army such as USAFRICOM—have no idea why they must fight and kill bright African leaders, except that it is their job to do so. The keyboard warriors believe, especially in those instances when they are hired to enlist at the battalions of coding—such as at AIC, giggle, megahard, and bottompen— that they are acting in the welfare of society, but they are not. They are only made to believe so, while in actual fact they are the very agents of the eventual Armageddon. That’s what all soldiers who fight in clandestine armies are made to overlook when they die for country in return for honor. Although the difference between an actual warrior, one who fights with his bare hands, a sword and a knife in hand, and looks his own sworn-enemy in the eye while he cuts the throat, and the keyboard warrior who never sees the blood of the Afghan and Somalian victims he splinters into minced pieces, on the ground, from the air, is that the actual soldier is exposed to the direct cost of his own actions. Keyboard warriors are not. The soldier, even when he doesn’t understand the insidious ideologies impressed upon him, understands that he must remain disciplined if he is to see his own mother again after the war. Mother is always important. The keyboard warrior could care less about his mother in this way, and this is a key difference. The keyboard warrior locks himself up into a codec of screens (the matrix) many hours daily and seeks nothing but to destroy his mother and all his mother’s children by taking away all their jobs and every meaningful work they’ve had for millennia. All for the fun of it. The keyboard warrior is bent on making sure that the only man available to date his mother remains jobless, his job replaced by unquenchable tireless robots. Which brings one to the last point. Real soldiers, who also, by the way destroy lives, actually do not have fun destroying lives. In fact, their silver lining often is that they are bent on protecting themselves and their own families: to die for country. And this is how the keyboard warrior differs from the real soldier. The keyboard warrior’s goal, in every simulation of his own agenda and in every iteration of his target, seems to drop squarely on his own shoulders: to destroy everyone around himself, including his mother and to ultimately destroy himself. Worse he laughs about his obliviousness to this reality and that’s why he works for Giggles at clandestine organizations developing all kinds of weapons of mass destruction: nuclear, financial, economic, social and psychological. In summary the target of the keyboard warrior, which includes his own mother, and the goal of this warrior, which involves killing his own mother, together with the fact that he remains in part domesticated, point to an animal more dangerous than ever before fathomed. The keyboard warrior is a danger to the world. He is by all definition an animal to be quickly left alone in the bushes to fend for himself. He cannot be domesticated or he destroys everything. Mothers, push these warriors out of your basements. Next articleWho Will Watch The Children? Lol the whole thing is an article against yourself, no? It is easy to rid oneself of the keyboard warrior. Cut off its internet. You really sound like the person you are describing. Sofa King horribly written and full of ridiculous leaps of logic. The whole thing adds up to a complete self-inflicted teardown of a few relatively nascent points. Drone operators are a horrific facet of modern warfare which is proving to be not only horrifically destructive to those on the receiving end of the actions of the sequestered operator but also to that same operator. They’re not all petulant, angry brats lashing out at their feelings of shortcoming. Many of them are duped through a process of intentional emotional distancing to the point where they truly are completely detached from the fact that they are ending lives repeatedly. The stories of these people when they are forced to come to terms with their actions compounded by the realization that they’ve been played are quite heartbreaking.